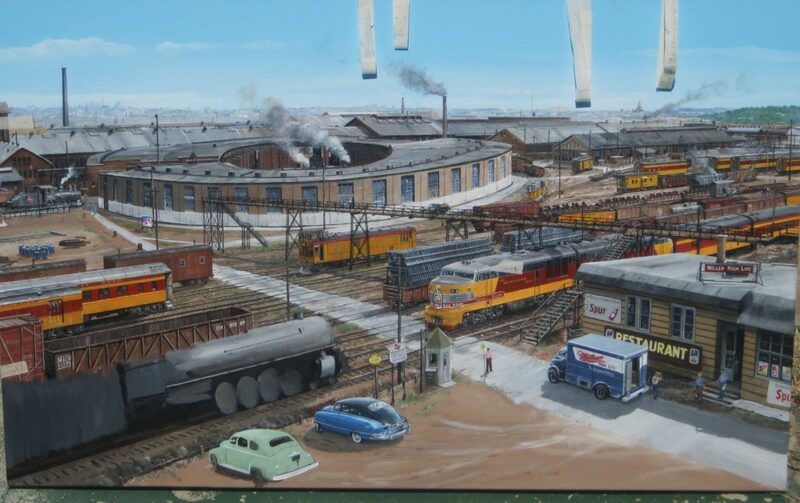 "A Meeting by the Milwaukee Shops"
In 2016 Trainfest honored the Milwaukee Road. 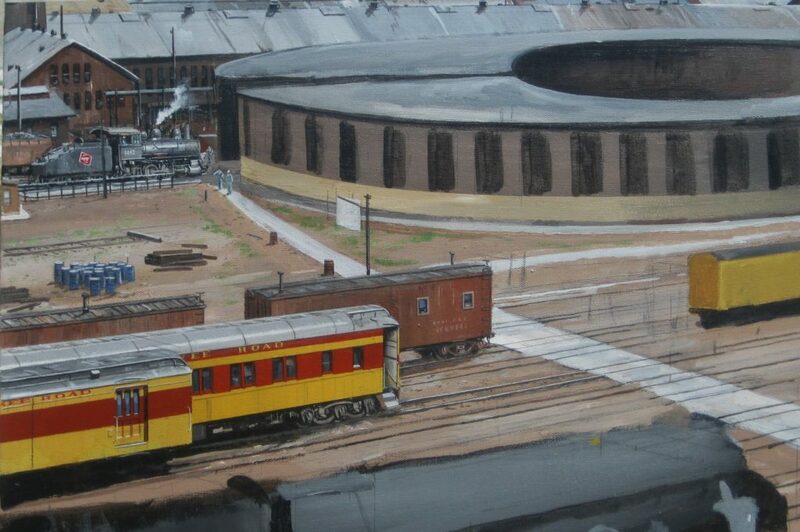 Celebrations included a limited run car, a 32 panel historical display, a commissioned painting, and more! 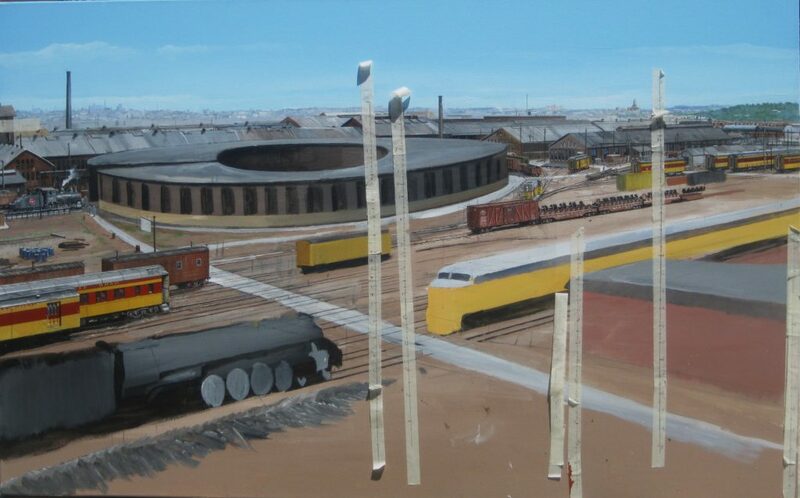 Interested in Learning More About The Milwaukee Road? 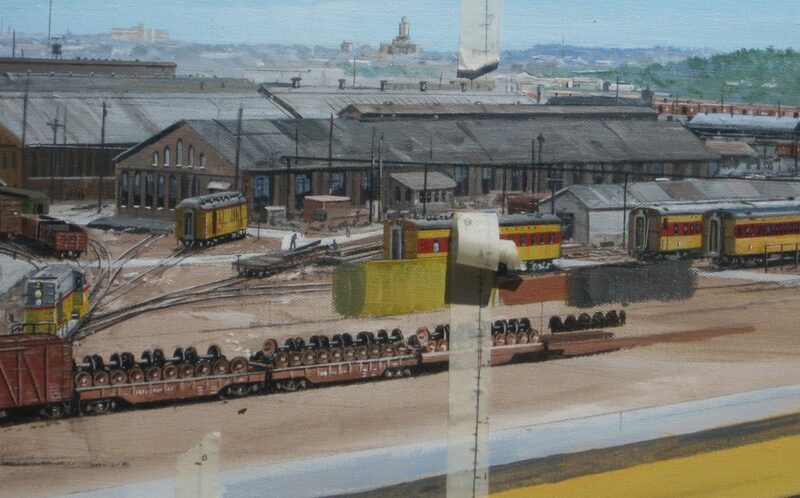 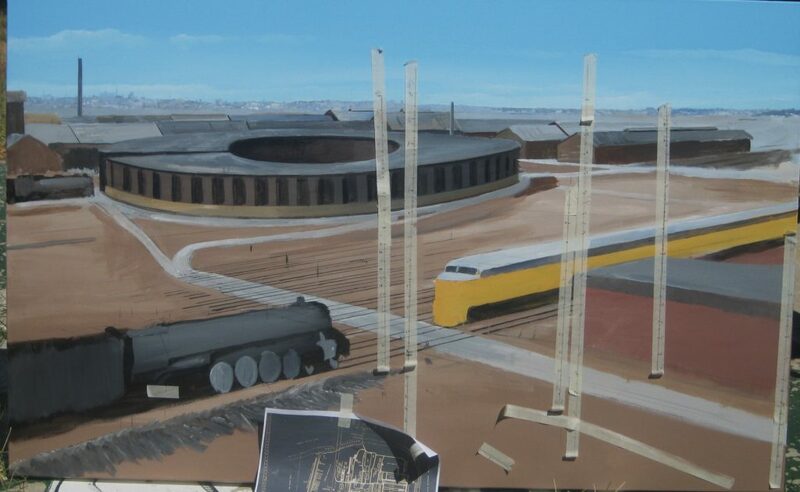 Commissioned by Trainfest for Celebrate-a-Railroad, the Milwaukee Road original painting is on display at the MSOE Grohmann Muesum. 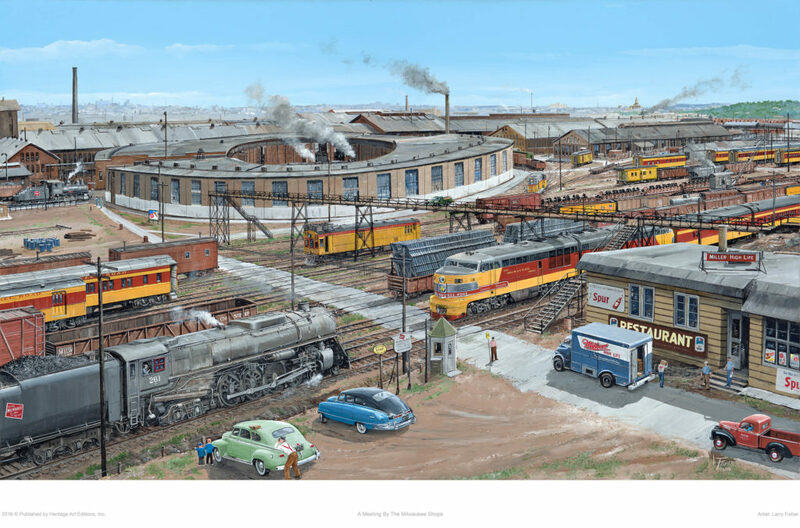 Prints and cards of the artwork are available for purchase through Heritage Art Editions.